This December 29th, adidas Originals will close the book on 2015 Yeezy Boosts with the fourth overall release of the adidas Yeezy Boost 350. 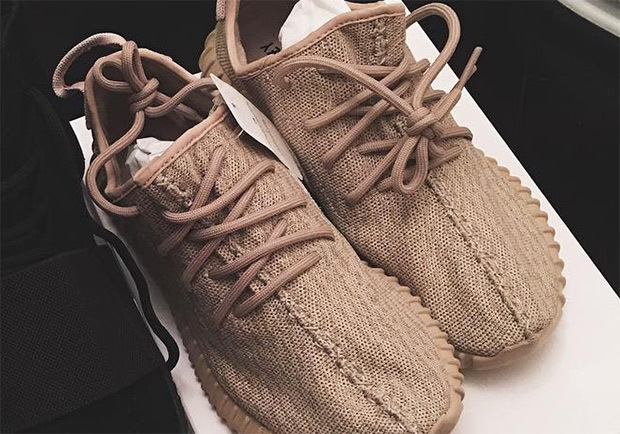 While adidas simply refers to the shoes as “tan,” early images of the box-tag show official color designation that may point to “Oxford Tan.” In addition, this release comes as a surprise given that Kim Kardashian previewed an all-white pair some weeks ago, but perhaps that’s an early 2016 release. Get ready for even more pandemonium for Yeezy shoes when they hit stores on Tuesday, December 29th. Stay tuned for an official Yeezy store list.